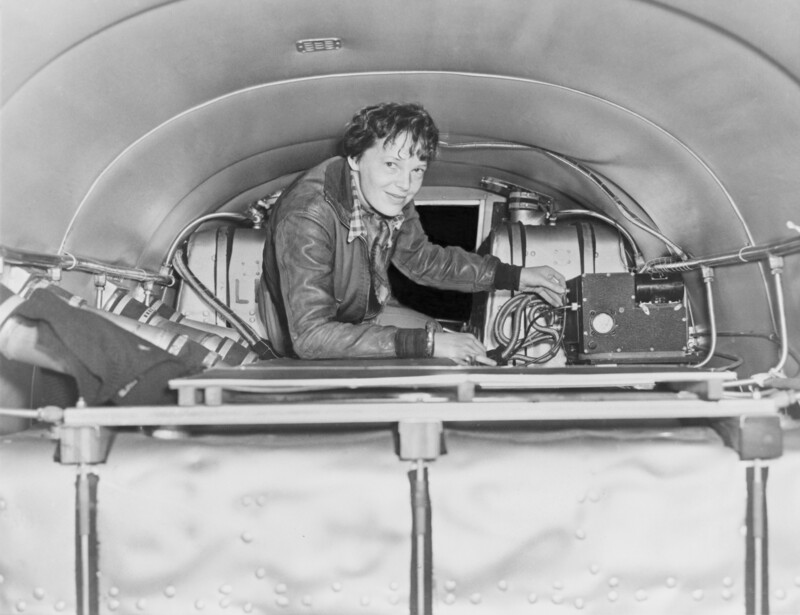 Amelia Earhart checking over equipment in her plane. 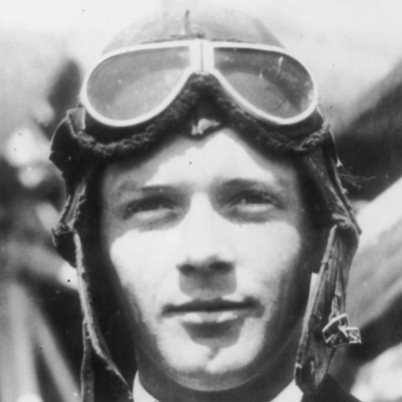 On March 22, 1927, Charles Lindberg became the first man to fly non-stop across the Atlantic from the United States to Europe. He was an instant national hero. While there were many pioneering woman pilots at the time, most people seemed to believe that aviation was a man’s profession. Amy Phipps Guest, owner of the Friendship and sponsor of the Atlantic flight. Amy Phipps Guest disagreed. She believed women were just as capable of flying as men. Mrs. Guest was a wealthy woman and a leader of high society in Palm Beach, Florida. 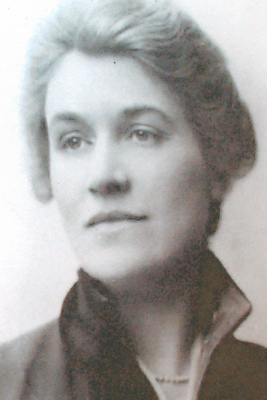 Her grandfather had been a partner of Andrew Carnegie, the steel tycoon. Guest’s family developed Florida real estate. She not only felt women could fly across the Atlantic just as ably as men, she could afford to prove it. 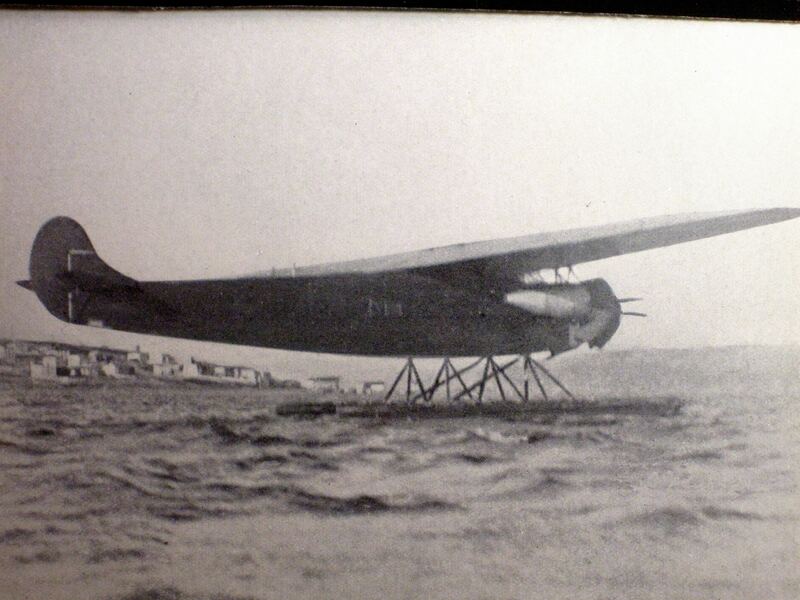 Admiral Richard Byrd, the Antarctic explorer, had a plane available, a Fokker F 7 tri-motor named the “Friendship”. Mrs. Guest purchased the plane and engaged pilots Wilmer Stultz and Flight Mechanic Lou Gordon to make the Atlantic flight. It was her intention to join them and become the first woman to fly across the Atlantic. The proposed flight was a dangerous mission. No one really could be certain of what the “Friendship” would encounter, flying non-stop over the high seas of the North Atlantic. The only person who had done it before was Lindberg. 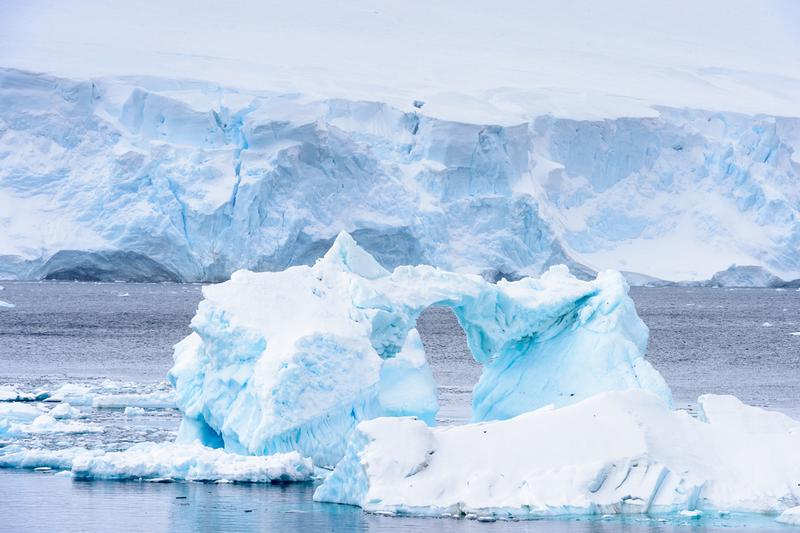 Ice formations could weigh a plane down, causing a loss of altitude. Engines were far from reliable. Radio communication was primitive. Success would be glorious, but there was a strong downside, leading to possible disaster and death. Mrs. Guest wanted to be on that flight to prove to the world that a woman could handle the physical and mental stresses of such a trip. North Atlantic Icebergs waiting for a low flying plane with wings weighted down with ice. Mrs. Guest’s family pleaded with her not to go on the flight herself. In their minds, there was no question that Mrs. Guest could cope with the physical and mental stresses of the adventure. Her family was concerned with issues beyond her control. What if the plane were weighted down with ice, forcing it down into the high seas of the North Atlantic, perhaps crashing into an iceberg? What if the engine gave out after a point of no return? The penalty for any mishap on the flight could easily be death. Eventually, reluctantly, Amy Phipps Guest agreed not go herself, but she insisted that a woman must be on the flight. She asked Admiral Byrd and George Palmer Putnam, Charles Lindberg’s publisher, to locate “the right kind of girl,” to take her place. Mrs. Guest wanted the person who would fly in her place to be someone, who was not only adventurous and involved in flying, but also a decent human being, commanding respect. Amelia Earhart, who loved to fly airplanes, worked as a social worker at Dennison House in Boston, MA. Byrd and Putnam found just such a person. She was a woman pilot, well known in flying circles, who was engaged at the time as a social worker, helping families at Dennison House in Boston. Her name was Amelia Earhart. The Friendship takes off on its TransAtlantic flight with a woman on board. And so, 88 years ago, on June 17, 1928, Amelia Earhart became the first woman to fly across the Atlantic Ocean from America to Europe. The flight changed her life and indirectly affected the lives of all women. The idea that women could be adventurous, could handle physical and mental stress just like men, and survive, struck a chord in the American conscience ….and Amelia Earhart became famous. The story of Amelia Earhart’s tragic disappearance years later, near Howland Island, has clouded the glory of what she accomplished during her life. American women interpreted her success flying across the wide Atlantic Ocean as proof that they, too, could be successful. And Earhart encouraged women to be independent, to be equal to men in every way. 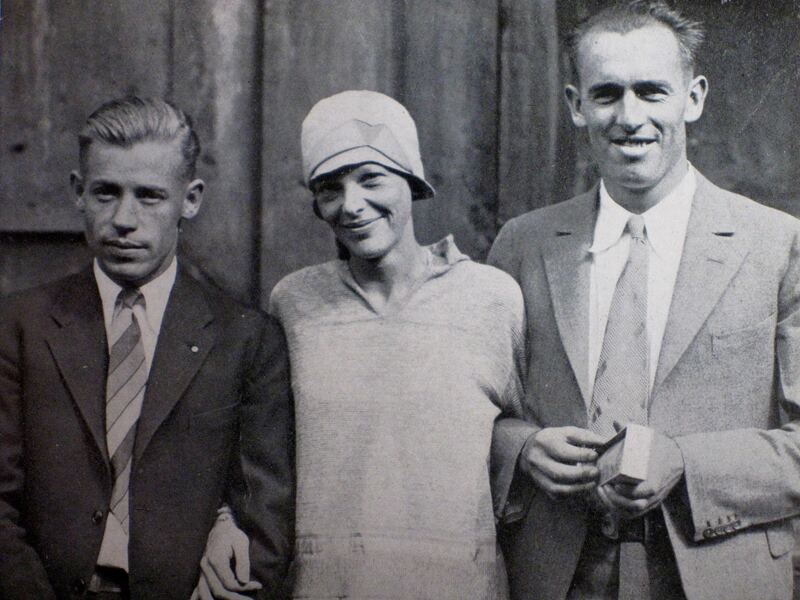 Louis Edward Gordon, Flight Mechanic, Earhart and Wilmer Stultz, Pilot, the crew of the Friendship. Earhart was 31 years old when she made the historic flight in the “Friendship.” She was not a professional pilot. Flying had been her hobby–something she loved to do and did well enough so that she was well known in flying circles. Earhart did not actually fly the “Friendship” (although she could have flown it in an emergency). She did keep a detailed logbook, took photographs when possible, and made extensive notes on the flight that lasted 20 Hours 40 Minutes. The fact that she didn’t fly the plane herself bothered Earhart. So, several years later, she did successfully fly solo across the Atlantic, in a flight that turned out to be more dangerous than she anticipated. 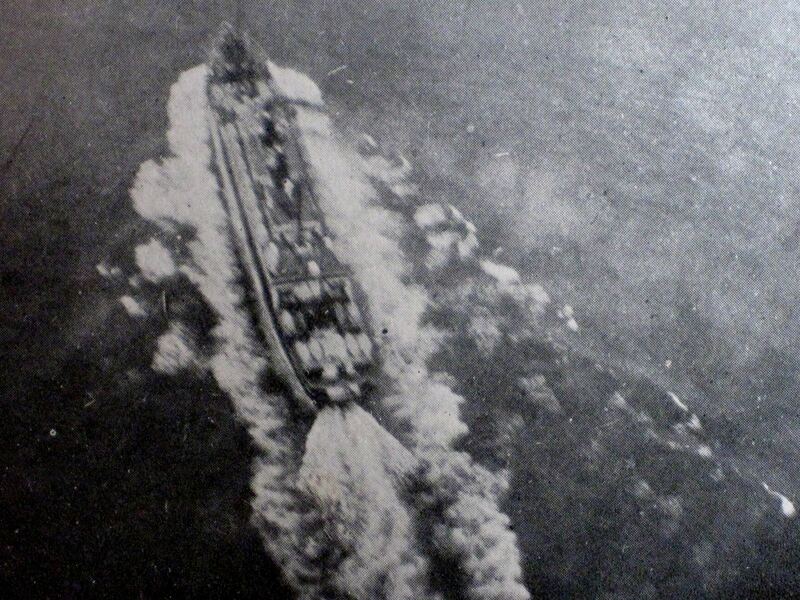 Photo taken by Amelia Earhart as the Friendship flies over a passenger ship on the Atlantic. In the rush of publicity and prominence after her 1928 flight, Amelia Earhart was asked to write a book about her life as a pioneering woman pilot and her life changing flight. “20 Hrs 40 Mins – Our flight in the Friendship,” was published in 1928. In the book, Earhart writes about how she became interested in flying, how she took flying lessons from a pioneer woman pilot, Netta Snook, and how she was able to purchase her first plane. She quotes from the actual log of the “Friendship” flight, revealing her wonderful personality and the dangers she and the crew all faced, flying over the vast, empty Atlantic Ocean. 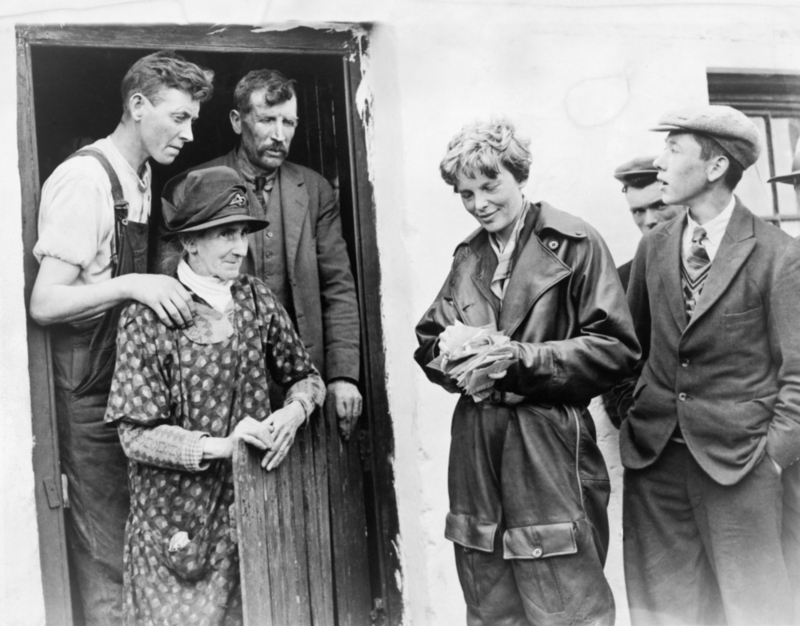 Amelia Earhart and crew are greeted by a farm family, who witnessed their landing off the coast at Bury Point, Wales, June 18, 1928. I am really pleased that Listen To Read has been able to be the first to record ” 20 Hrs 40 Mins” as an audiobook and bring you this wonderful adventure. Amelia Earhart’s dangerous and exciting flight fits perfectly into the Listen To Read American Adventure Library series, because it is a first person account of a real American adventure. Our narrator for this audio adventure is Leslie Walden, who narrated portions of our audiobook “Camps and Trails in Old China.” With some diligent research, I was able to obtain the actual sounds of airplanes of Amelia Earhart’s time. I’m glad to report that our audiobook “20 Hrs 40 Mins – Our Fight in the Friendship” is now available here at our website, Listen2Read.com and also on Audible.com, Amazon.com, I-tunes and other retailers. 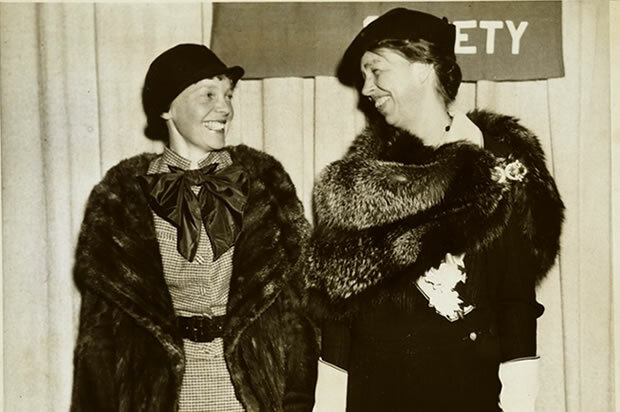 Amelia Earhart meets with First Lady Eleanor Roosevelt, wife of President Franklin Roosevelt, to discuss gender equality. At the end of the video, you will see the actual newsreel footage of Amelia Earhart and the crew taking off from America in the “Friendship” on the historic transatlantic flight in 1928.